Having a birthday party soon? Here's a great, free, printable party invitation for you to print and send to your guests. Just fill in the details and voila' all done! 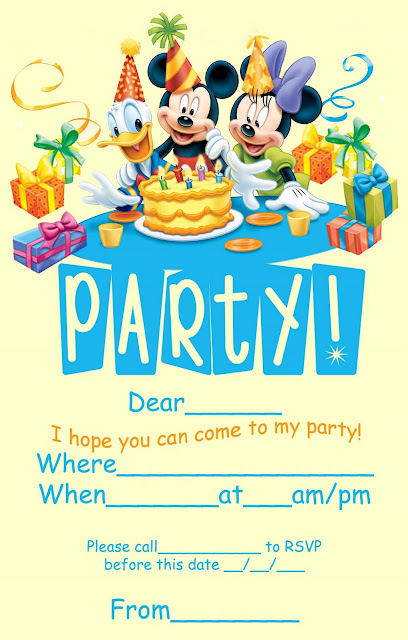 While you are here - why not print some coloring sheets to add to your favor bag or to have during your party as a quiet activity... just click on any image you see and it will open full size - then just press control and the letter P on your keyboard to print however many copies of the coloring pages or party invitations as you need.